Grab Your House Plans! 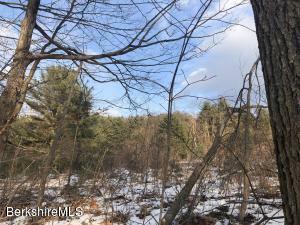 Lovely level 2 acres with a rough drive and recent percs. 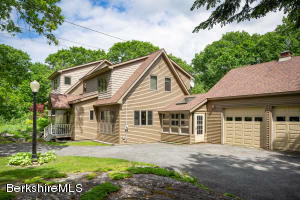 With low Alford taxes and a great proximity to Great Barrington and New York State, this property is perfect for a full time resident or a vacation home. 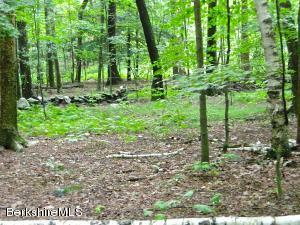 A rare opportunity to purchase a lightly wooded two acre building lot on the Hill in Great Barrington. 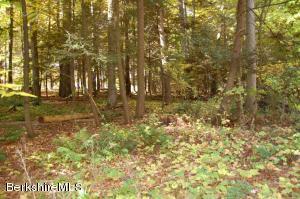 Great Barrington town sewer system is available and can easily be accessed from this property. 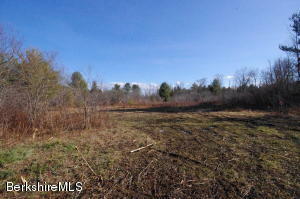 Lightly wooded parcel In a neighborhood of fine homes with lots of privacy and adjacent to protected land. The perfect spot to build your dream home. 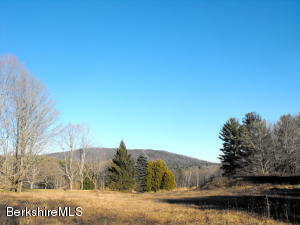 Meadow and mountain views, beautiful country road, low Alford taxes. Survey map in documents. EXCEPTIONAL PARCEL WITH SOUTHEASTERLY VIEWS OF MEADOWS AND MOUNTAINS. Ready to build with common driveway and site cleared. Restrictive covenants and plan approval required. BARN HOME PLAN AVAILABLE. Broker interest. 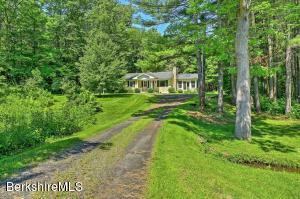 PASTORAL AND MOUNTAIN VIEWS on one of the best country roads in West Stockbridge. Premier location with expensive homes. Cleared building site with drilled well in place. 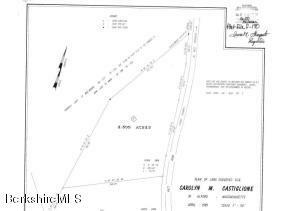 Seller will provide septic design for a 6 bedroom house (2010). Broadband internet available. 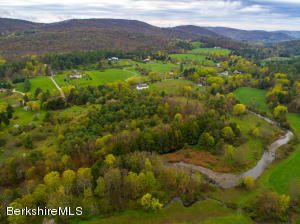 An excellent investment in the Southern Berkshires. Extraordinary 25 acre Alford parcel with the potential for easterly and westerly views and exceptional light throughout the day. 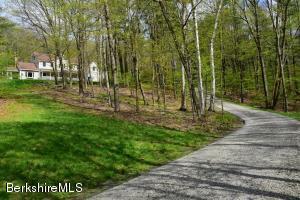 Large, level homesite, meadows, mature trees and interesting rock outcroppings. This is a ready to build parcel with excellent, nicely meandering common driveway (one other existing home) and underground services already installed. 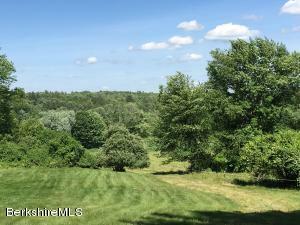 Tucked into a lovely woods, near an open field and a babbling brook, convenient to all Berkshire amenities, this jewel box of a house is the perfect, private, country retreat. You'll love the one-level living, its light-drenched rooms, & its very private private three acres. Recently & freshly redone with bead-board wainscoting & fresh finishes, this sweet, sunny home offers a living/dining room with wood stove, two bedrooms, one full bath, a half bath, a new three-season room with vaulted ceiling, & a farmhouse porch replete with porch swing. A small out-building affords space as an art studio & could be whatever your imagination desires. No renovations needed here--there's a new roof, new HardiePlank siding, upgraded 200-amp electric, & a full dry unfinished basement. Go for it! Rare Green River Waterfront Acreage. This unique piece of land offers a rare combination of accessibility and beautiful natural resources. Fronted by a tall pine stand, the center of the property reveals the remains of an ancient apple orchard, then light woods lead to the crystal clear waters of the Green River. Great land for horses, homesteading, or a country estate. 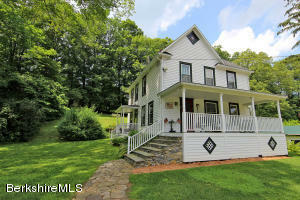 Rare Offering in Alford, this loaded-with-charm Village 100-year-old Colonial farmhouse style home has all the most wanted features: cozy fireplaced sitting room; open plan country kitchen/dining; traditional rocking chair front porch; three+bedrooms, two full baths and GARDENS, SUCH GARDENS! and all sited wonderfully just around the corner from the Village Center! Minutes to all the Berkshires. Come see it and fall in love! This house is located on a great street in the beautiful town of Alford. You can live upstairs and have an in-law live downstairs. There are three bedrooms on the main level and two on the lower level. 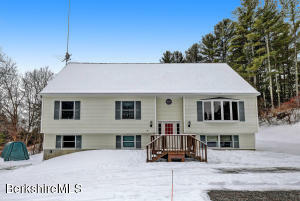 It is easy to get to the highway, to ski areas, and to everything the Berkshires has to offer from this home. Do not pass up the chance to own this wonderful home. 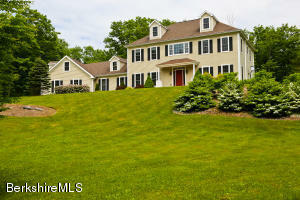 Alford Colonial with Total Privacy. Set on 2.5 Acres just 4 miles from town. This very well maintained home has it all and in move in condition. Beautiful fireplace, wood floors,a bedroom and full bath on first floor and a two car garage. Two cheerful guest bedrooms a full bath and a very large master suite on the second level. Rare opportunity in highly sought-after Alford. Set on a quiet country lane with protected meadow views and wondrous wildlife watching. 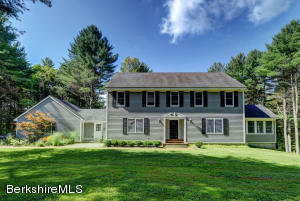 Perfect for year-round use or as a Berkshire getaway, with plenty of space for family and friends. Features light-filled bedrooms with high ceilings and skylights, multiple first floor living and eating areas, and an attached two-car garage. Move-in ready, but also a prime location for further investment. Unique combo: minutes to Great Barrington + very low taxes + upcoming installation of fiber optic Internet. Lovely private setting for this well-maintained 3 bedroom plus office (4th bedroom potential) and 3 full bath residence in very desirable Alford. Kitchen (propane range) was recently fully updated with convection oven, microwave, cabinets & counters; screened-in porch and a front open porch with private views. 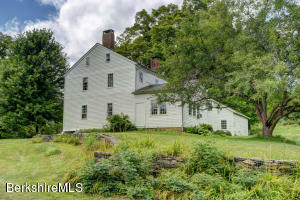 This location is a short and bucolic 6-mile drive to Great Barrington village. Fiber Broadband connection installed to AlfordLink, a municipally owned network. 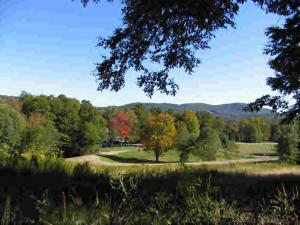 Property abuts Alford Springs which is preservation land/hiking trails owned by Berkshire Natural Resources (https://www.bnrc.org/trails-and-maps/top-10-berkshire-trails/alford-springs/). A paved pea-stone driveway is a welcoming entry to this special setting! This 26-acre parcel has 912 feet of frontage & has the potential for multiple building lots -- or use the entire parcel for a private estate or family compound. 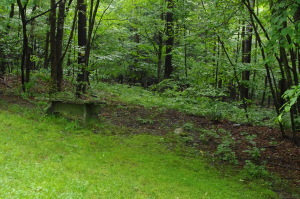 The land has partially cleared pastures & includes wooded portions, seasonal brook, fruit trees, & old stone foundation. Views to the east/southeast of Tom Ball Mountain. Your Alford dream home awaits! 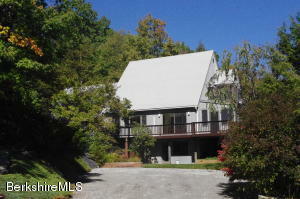 Magnificent turn-key paradise set on 15 secluded acres. Home features state-of-the art eat-in chef's kitchen, spacious master suite w/ luxurious master bathroom, top of the line finishes throughout. Large, level backyard; beautiful gunite pool & patio. Perfect for entertaining family & friends or relaxing with your favorite book in front of 1 of the fireplaces. Superb location - only minutes from vibrant downtown Great Barrington, very close to Ski Butternut & Catamount Ski Area & close to many of the Berkshires' premier cultural attractions. Don't miss this gem!